I'd like to take the pleasure of introducing you to the absolutely gorgeous and lovely couple- rose & josh! This pair are tying the knot in just a few months in may and i couldn't be more excited to photograph them getting married at the beautiful kinkell byre! 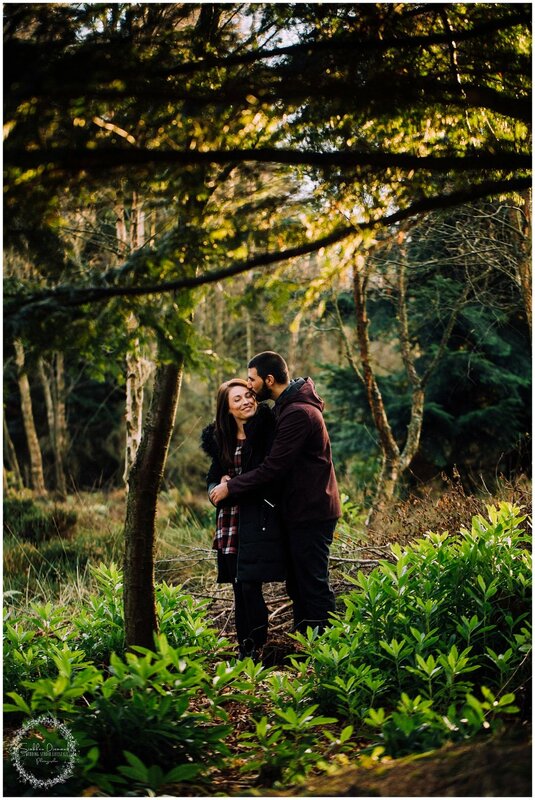 rose and josh decided on the picturesque crombie country park for their engagement session, and what a great choice it was! we were gifted with absolutely magical light that made the atmosphere in the resulting photographs just soooo romantic! I hope you agree! Thank you both for a wonderful time, you are adorable together!